An afternoon of new connections with @BeautyNight! I was honored and delighted today to meet with Caroline MacGillivray, founder and executive director of Beauty Night. They believe that everyone deserves to be treated with dignity and respect. Regardless of socio – economic status, no one deserves to be invisible and isolated from community. Stay tuned as we build on the connections made today with Intersections Media and Beauty Night. I am beyond excited about the possibilities! This is an incredible organization! 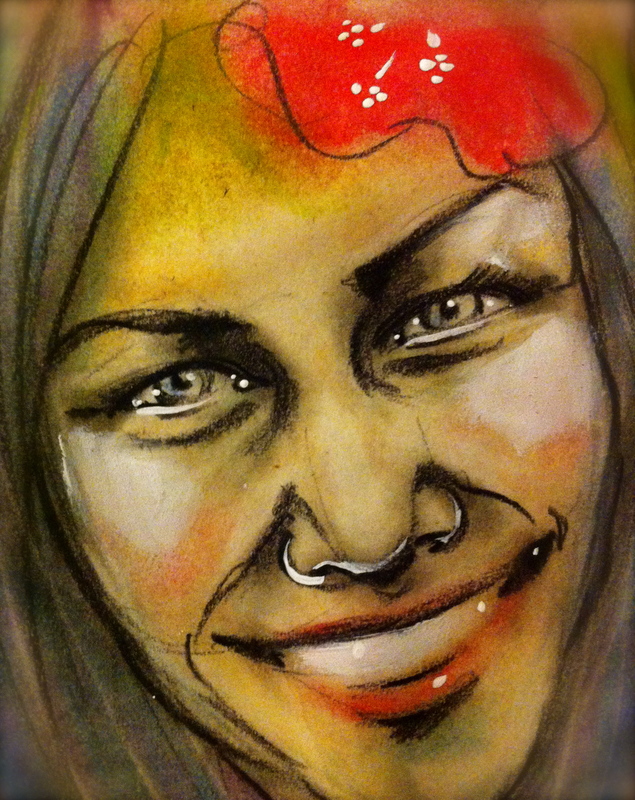 Until then, here is a portrait of Caroline, whose spirit and beauty is truly inspiring! – Special thank you to Laura Mack for the connection! Previous Post: Mnemosyne : Greek Goddess of Memory and Mother of the Muses. Love letter to my mom. Next Post: CHAD. Whiteboard series by Eric Wright. This is fantastic. I volunteered at Life Skills Centre and I’m so glad this is going on there. More of this, Vancouver. I’m so glad for this. The ‘positive touch’ component is so essential. Thank you for doing this. I feel hopeful.